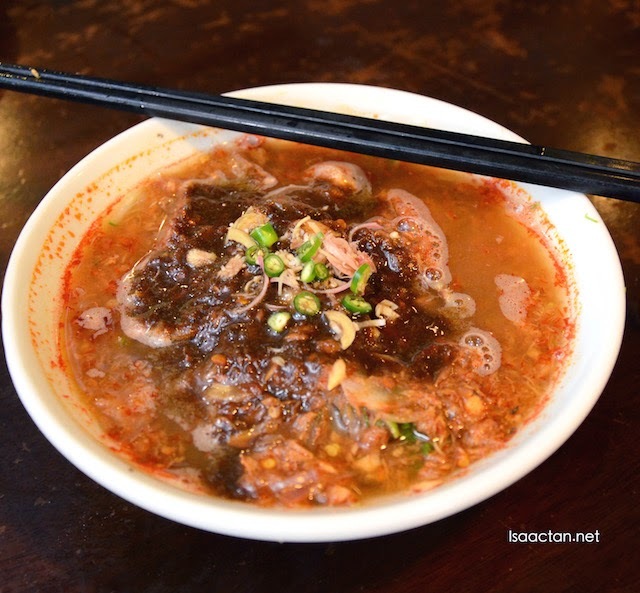 Hailing from Air Itam, Penang myself, I know too well the local Penang delicacies that the area has to offer, with the Assam Laksa and Char Kuey Teow topping the list of must tries. 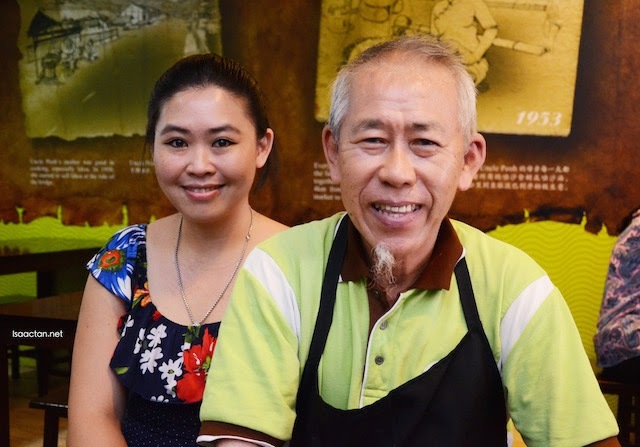 It's with great delight then that I found out the founder of the famous Air Itam Laksa, Uncle Peoh has set up shop in Bukit Tinggi Klang, Angcle Peoh Restaurant, serving some really good and authentic Penang cuisine. Check out some of the noms we had that afternoon. 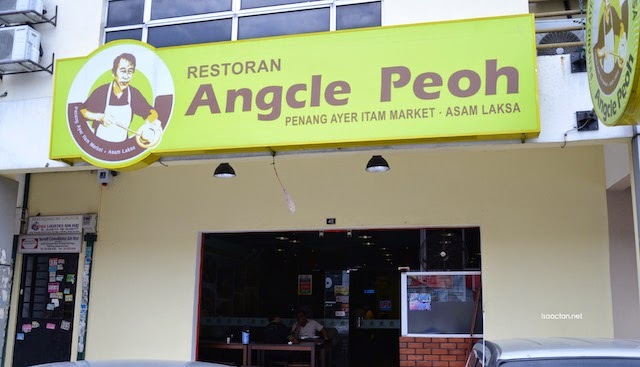 Located in the vicinity of Bukit Tinggi Klang, I found it interesting that they decided to name it Angcle Peoh restaurant which is actually a combination of the owner's surname, and a twist to make it rhyme with "uncle". 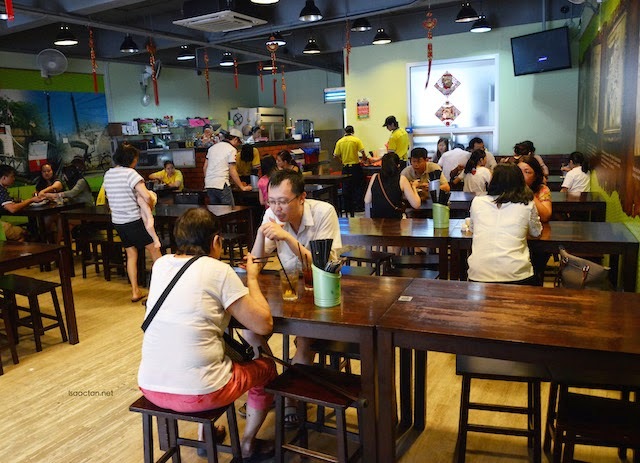 On a weekend lunch, it was packed with diners all eager to taste the authentic penang cuisine that they have to offer. Uncle Peoh himself, the founder of the original Air Itam Laksa stall in Penang below Kek Lok Si. Uncle Peoh, despite his old age, every single bowl of assam laksa served goes under his watchful eyes, to ensure the quality is up to mark. 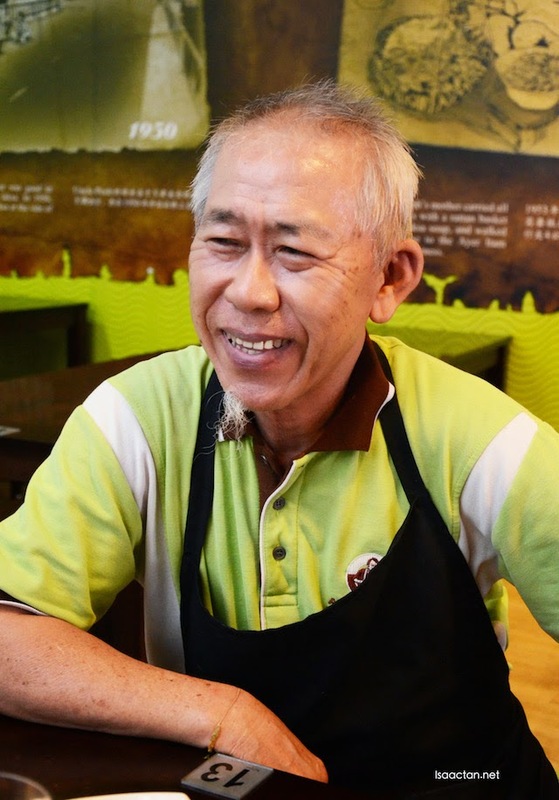 His daughter initially set up a stall at Asia Cafe, but he has been here ever since they moved over to Klang to open a full fledge restaurant. 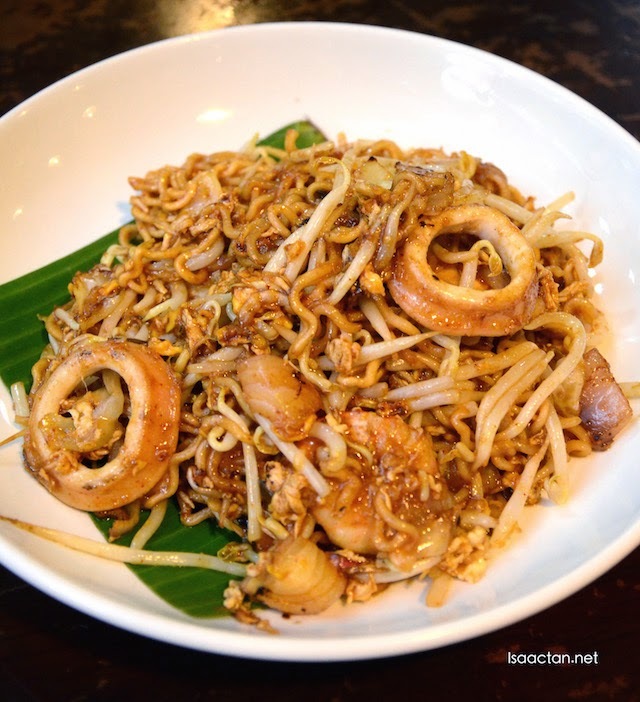 Operating for a year now, folks come from far and near just to sample the delectable assam laksa and char kuey teow. With a choice of either having the usual chicken egg, or the more fragrant duck egg thrown into the Char Kuey Teow mix, we went for the duck egg. 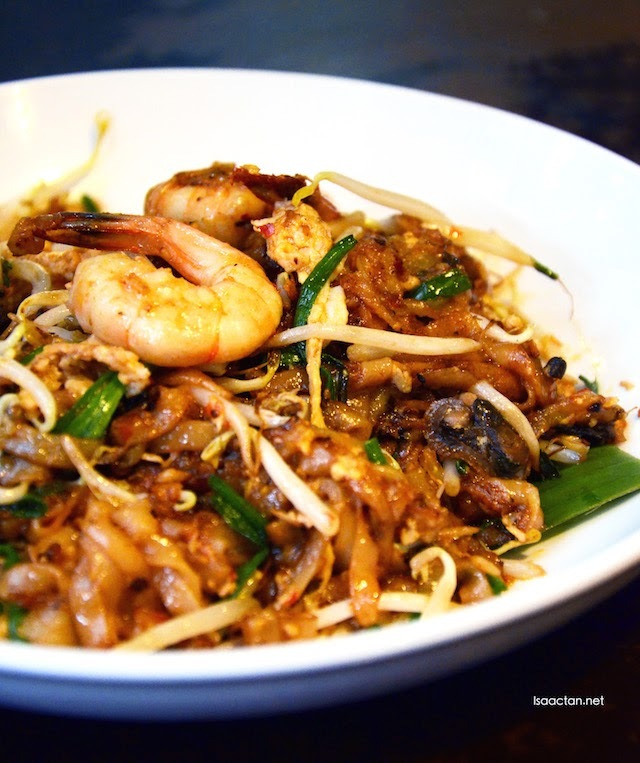 I'm always a fan of the way Penang fried kuey teow is prepared, full of 'wok hei' and not too wet. Good stuff here, served with prawns and cockles. No pork is served with the char kuey teow though. Ah, the signature dish of Angcle Peoh Restaurant, a must try would be the authentic Air Itam Assam Laksa prepared by Uncle Peoh himself. The dish itself had really generous serving of prawn paste (ha kou), which according to Uncle Peoh changes the taste of the dish, giving it it's unique flavour. It was both spicy, yet deliciously tasty with lots of bite from the fresh sardine fish used inside. Must try! A departure from the usual fare would be this Fried Tom Yam Mee, which came served with seafood thrown in. The instant noodle is fried with their special homemade Tom Yam paste served piping hot. This dish came being a tad too wet for my liking, but the taste was definately there albeit not being spicy enough. If you're like me, a person who loves his fruit rojak to have a thick sweet paste with lots and lots of peanuts thrown in, then this dish fits you perfectly. Adding to the crisp would be bits and pieces of double fried eu char kwey, complementing the fruits really well. 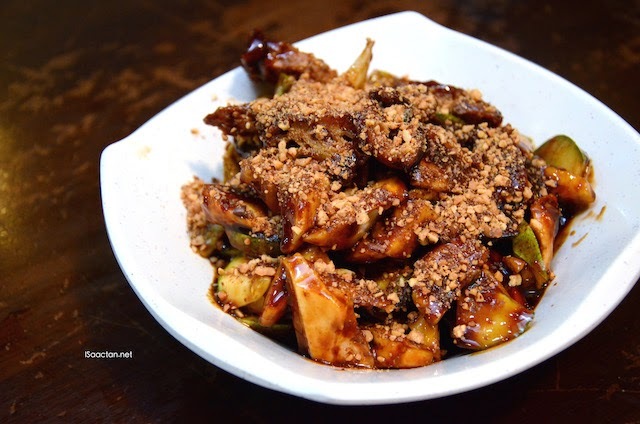 Spicy, yet tasty, savoury and sweet, it's indeed a nice rojak to have. Sweet dessert to end our meal at Angcle Peoh restaurant. The Cendol came looking delicious, with gula melaka used to add to the sweetness. 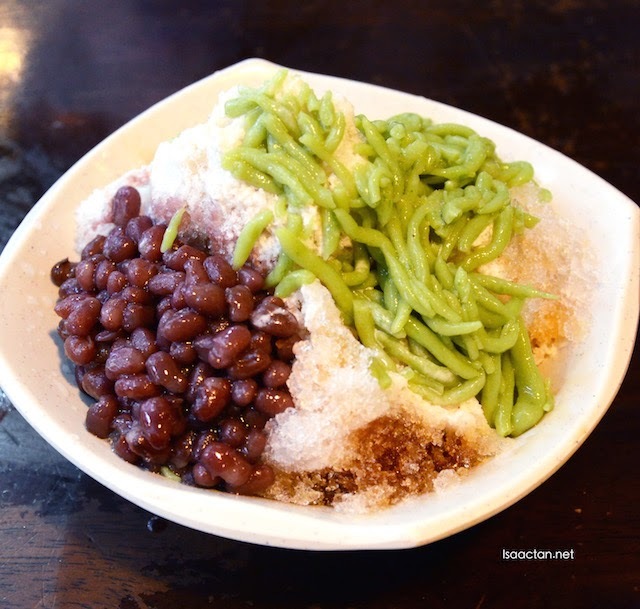 Generous amounts of red beans were to be found, but the green cendol tend to harden fairly quickly in the ice. Be sure to gulp down this goodness quickly and it will satisfy. Do drop by Angcle Peoh Restaurant at Bukit Tinggi Klang should you crave for some authentic penang food. They will be opening their second outlet in KL area soon, so look out for it!